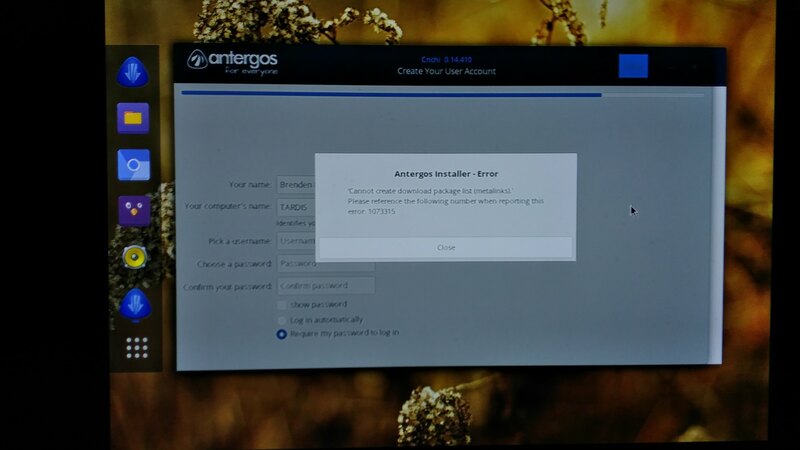 I was trying to install Antergos Minimal ISO 18.4 X64. I would select all of my options, but then once I get to the user profile screen, Cnchi errors out with “Cannot create download package list (metalinks)” With the reference number “1073315”. I also tried to Live Environment ISO and got the same results. I took a picture of the error screen. According to the Cnchi updater, the installer was up-to-date. I’m not sure what the problem is. I hope this issue can be resolved with an update or something. selected mirrors do not work or partly banned by ISP/gov. I’ve chosen “Do not change mirror lists” before and get the same error. How would I go about manually selecting them? How do I know which ones to select? Anyway, thanks for your quick reply.